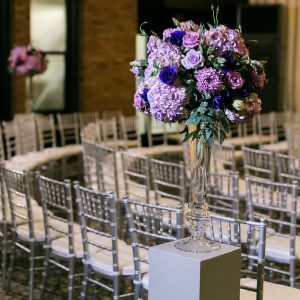 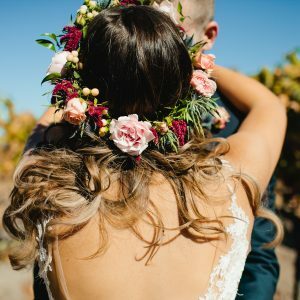 Fairly new, wedding websites are combining practicality with style to make us question how couples ever got married without one?! 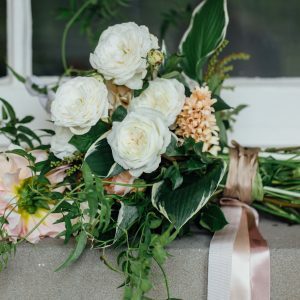 According to the website creating platform SquareSpace, the primary function of a wedding website is to be informative. 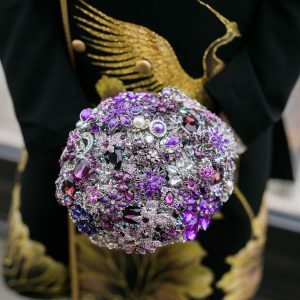 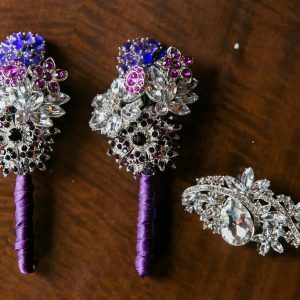 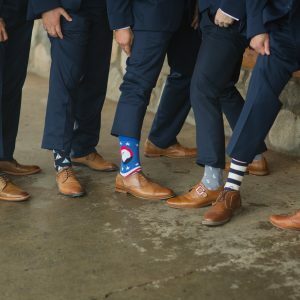 Style is a bonus and helps set the tone for your wedding, but there is no need to go all out. 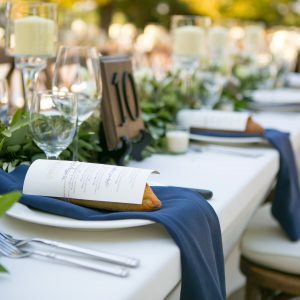 It is nice to keep the theme consistent, but it is most important that your website is well formatted, simple, and easy to navigate. 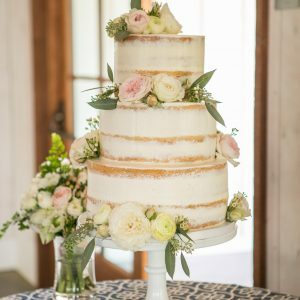 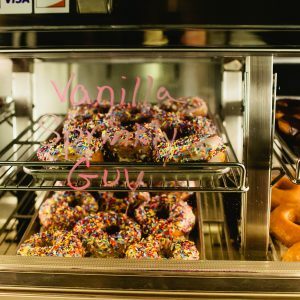 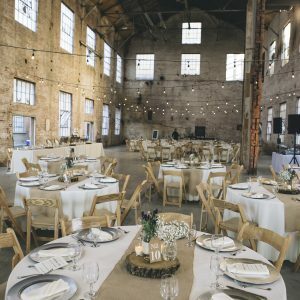 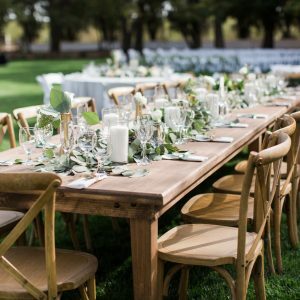 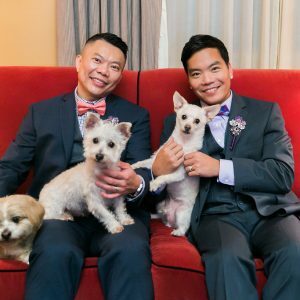 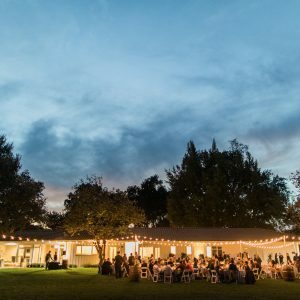 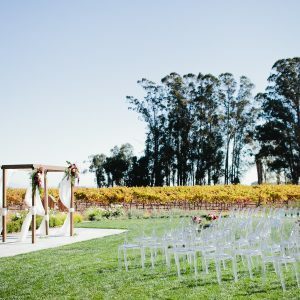 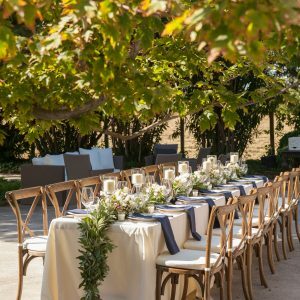 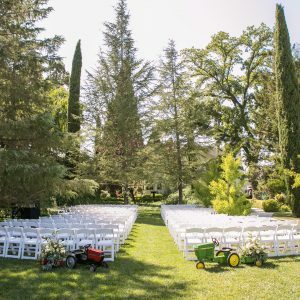 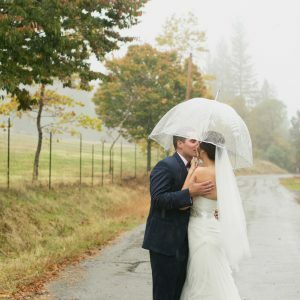 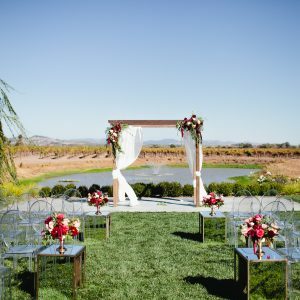 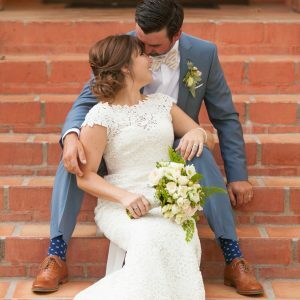 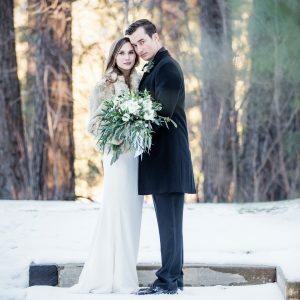 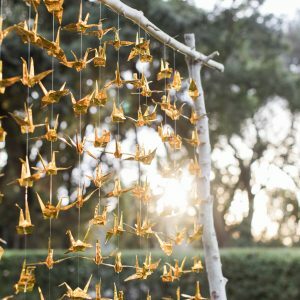 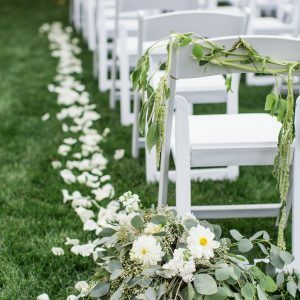 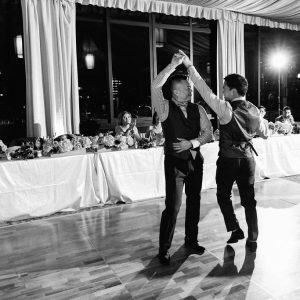 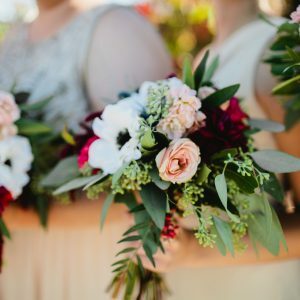 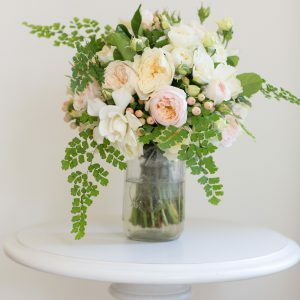 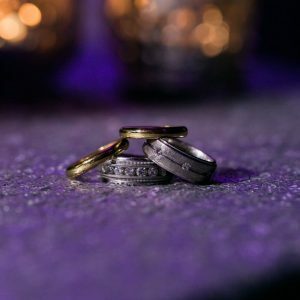 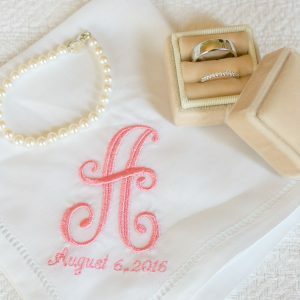 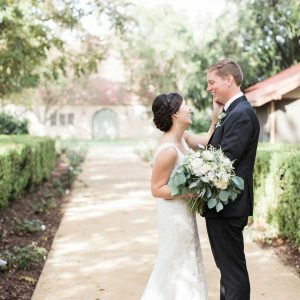 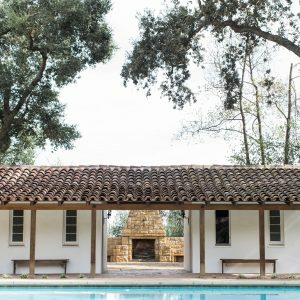 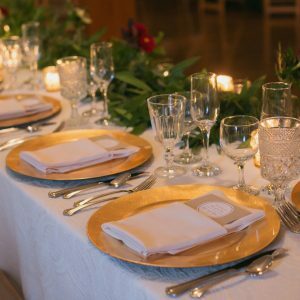 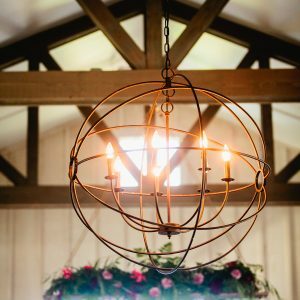 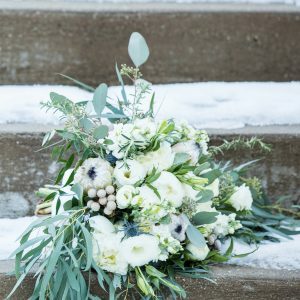 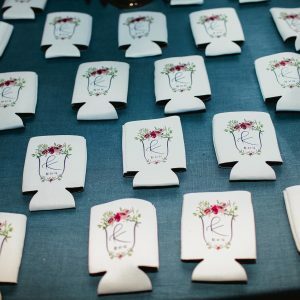 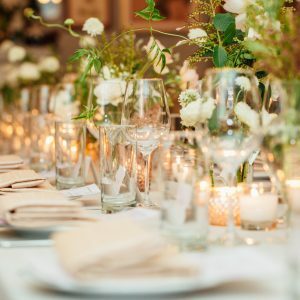 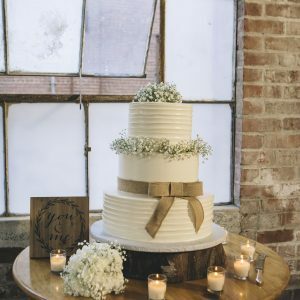 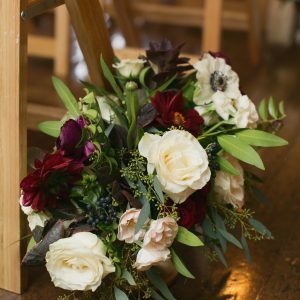 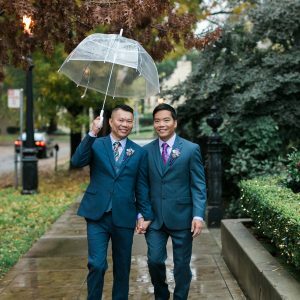 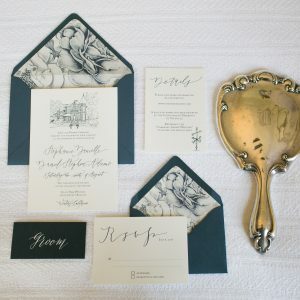 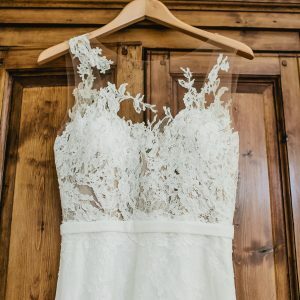 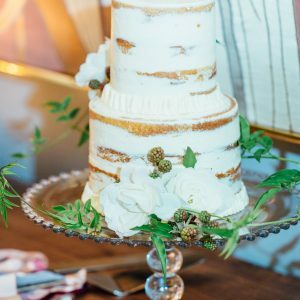 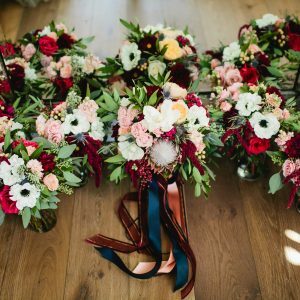 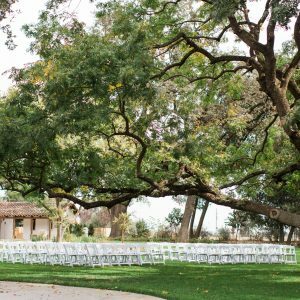 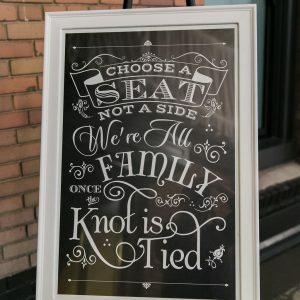 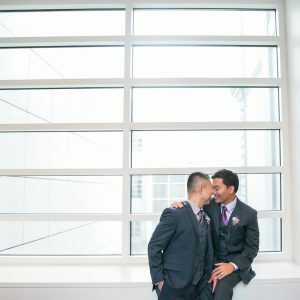 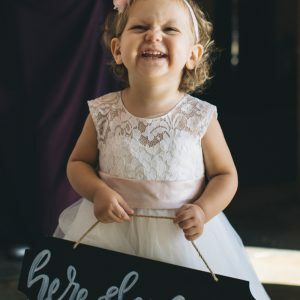 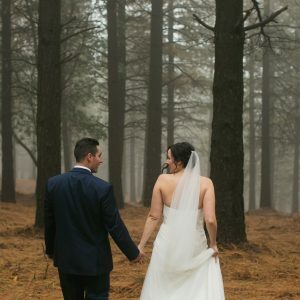 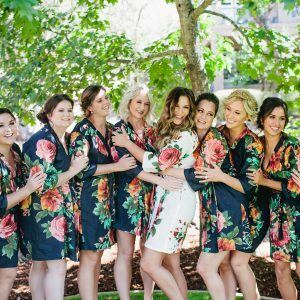 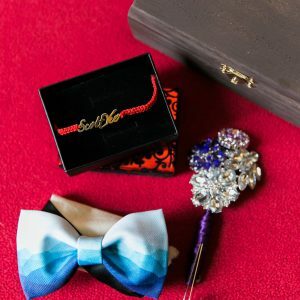 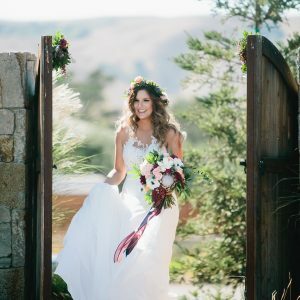 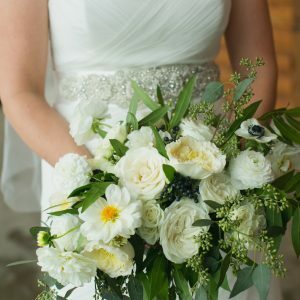 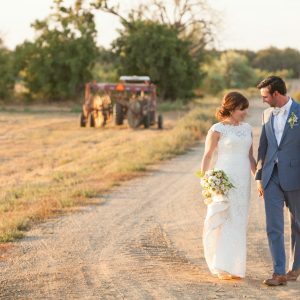 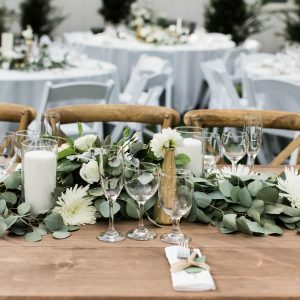 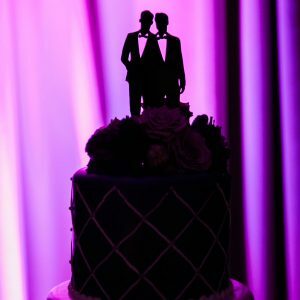 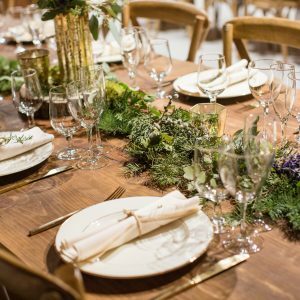 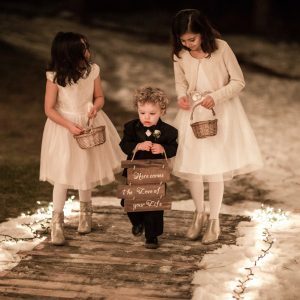 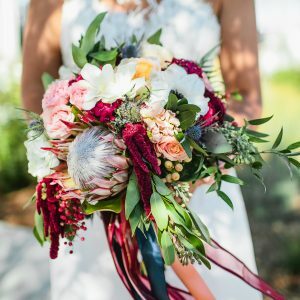 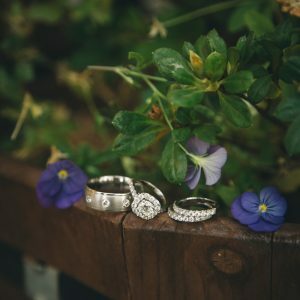 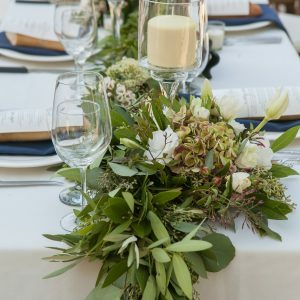 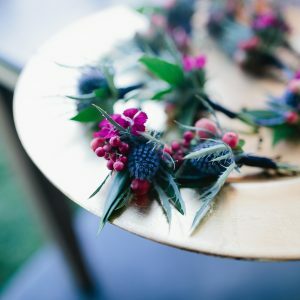 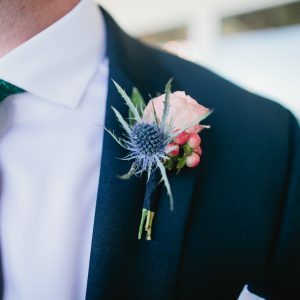 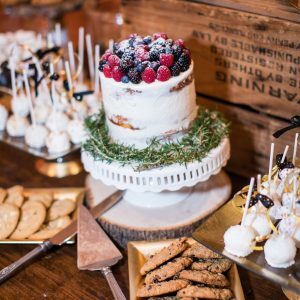 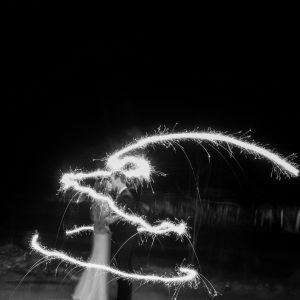 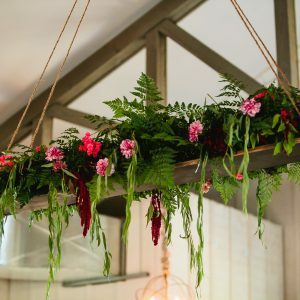 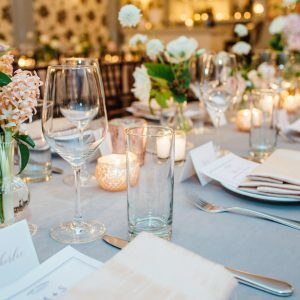 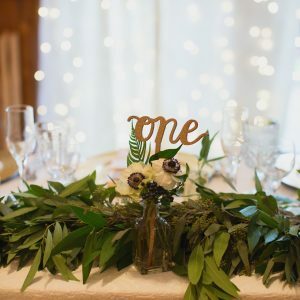 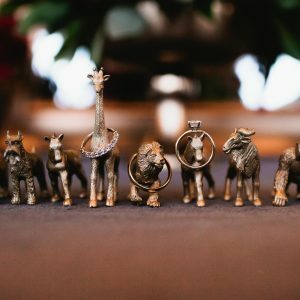 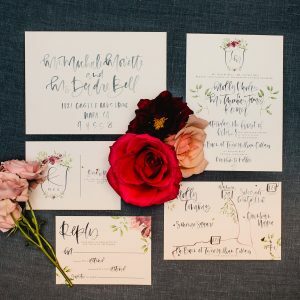 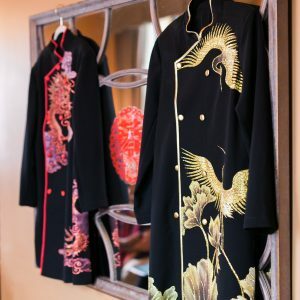 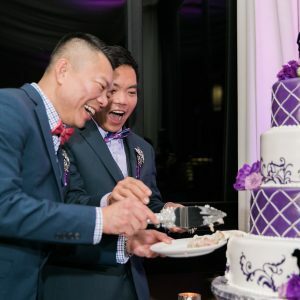 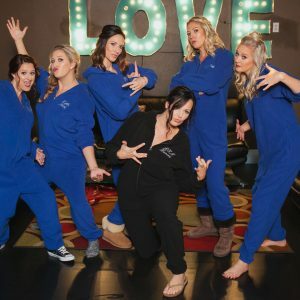 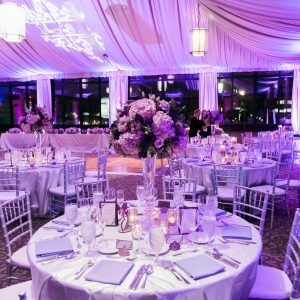 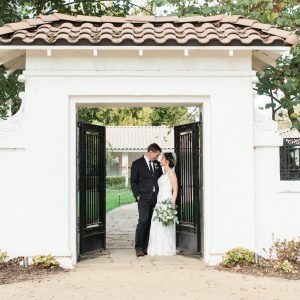 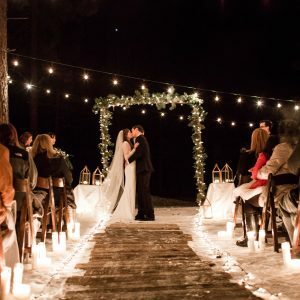 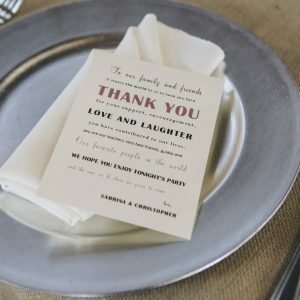 While the main focus is to inform, including a brief history about your story as a couple is a great way to give guests (especially those who only know half of the couple or plus-ones who haven’t spent much time with the bride and groom) a way to feel more involved and included on the wedding day. 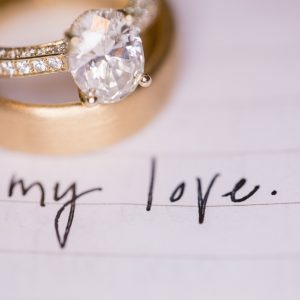 This section does not need to be novel-like or pages long, but concise and from the heart will do the trick! 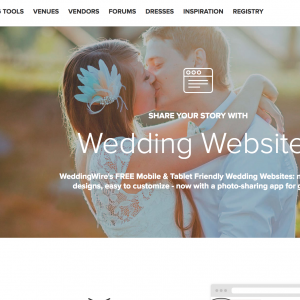 A wedding website is the place to answer questions that guests do not necessarily want to ask. 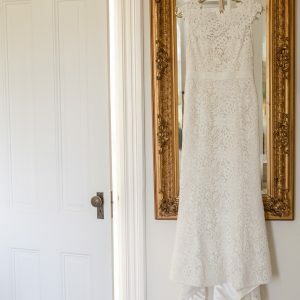 It is appropriate to go over attire, without sounding too strict. 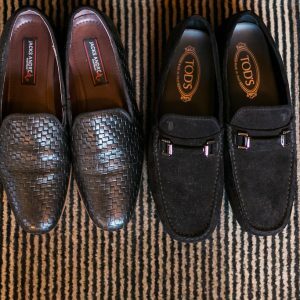 Letting guests know that casual attire is acceptable or that ground conditions may not be ideal for sharp heels is a good idea. 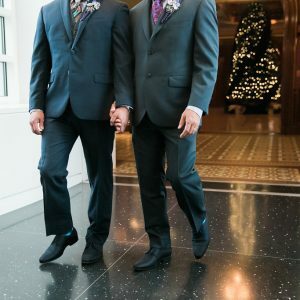 Just make sure you are coming off as considerate and not just imposing restrictions or instructions on dress code. 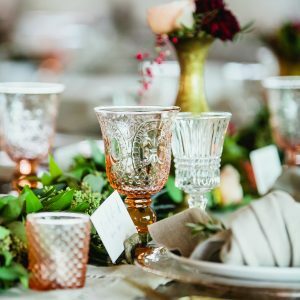 In the past, it was frowned upon to talk wedding registries. 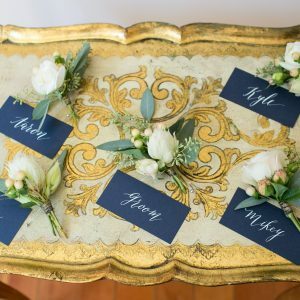 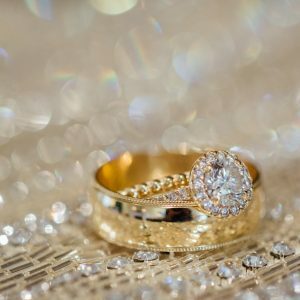 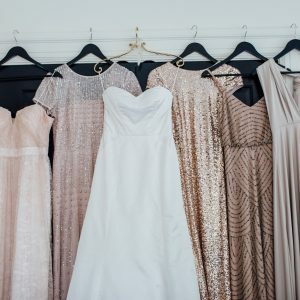 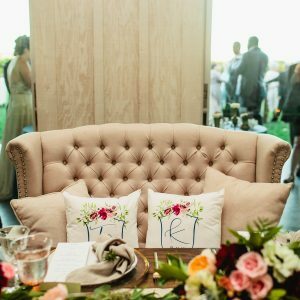 Now, with the emergence of wedding websites, data trackers are finding that the main reason guests visit the couples’ website is to gain insight into the registry. 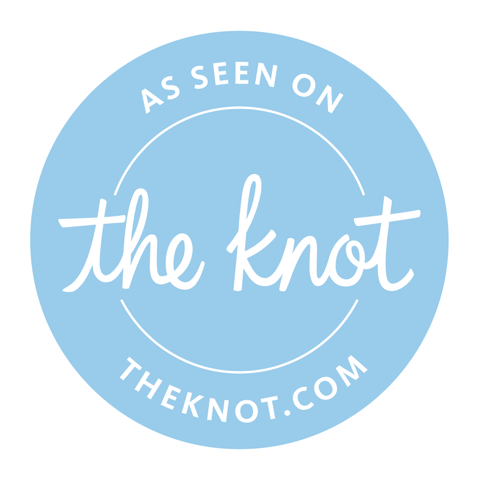 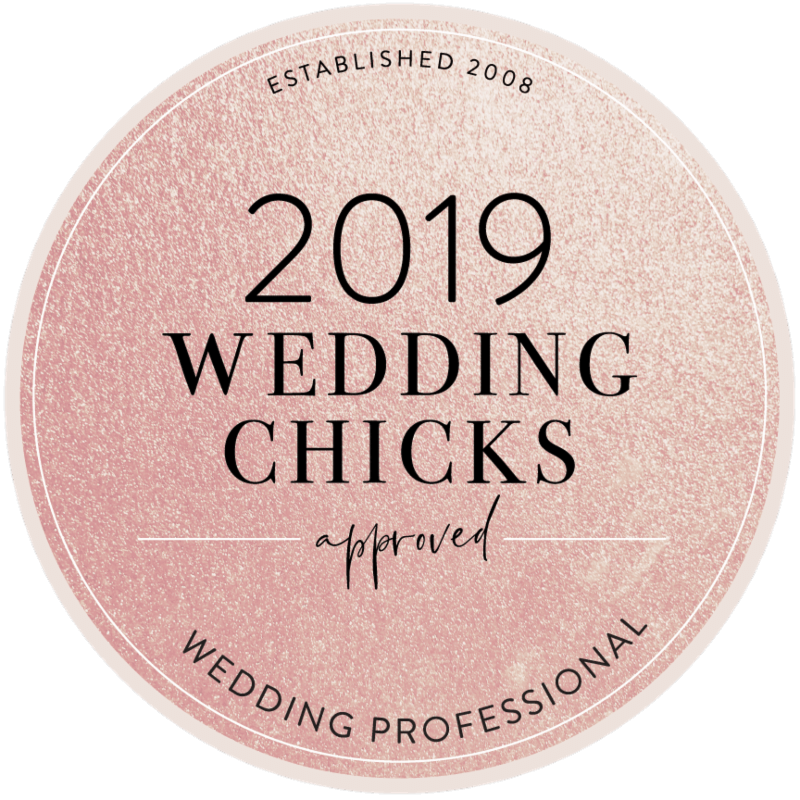 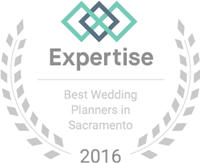 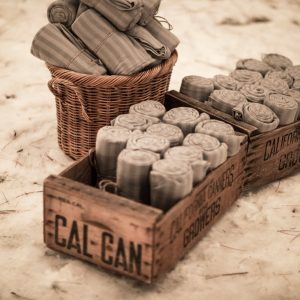 That being said, it is totally acceptable to list your wedding registry on your website, or a link or guide to your registry! 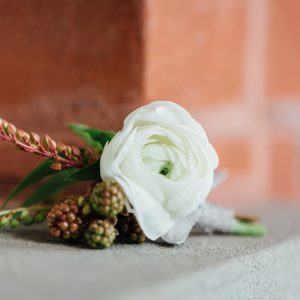 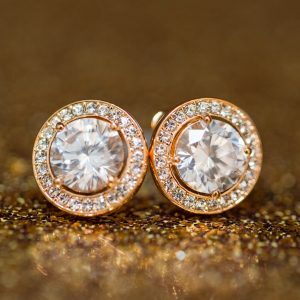 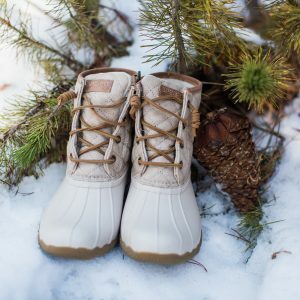 Whether it be cash, a no-gift policy, or something different altogether, including your gift preferences is not snooty, but actually considerate and helpful so long as you are tasteful with wording and listings. 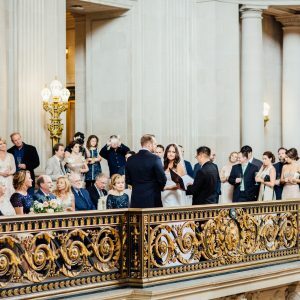 Lastly, many experts suggest password protecting your website, or at least making sure you do not include any information that could allow a wedding crasher to find your location. 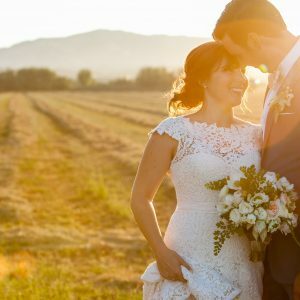 As silly as it sounds, there are people out there who make it their mission to crash weddings and check things off their bucket list. 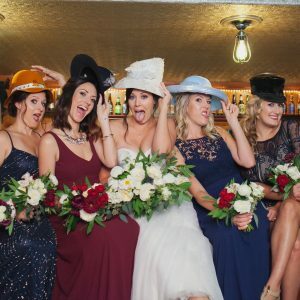 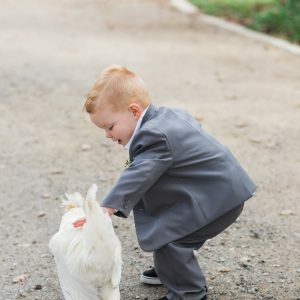 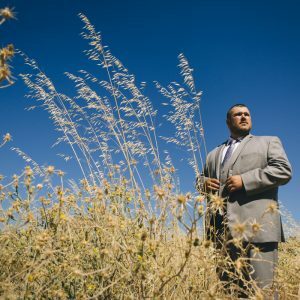 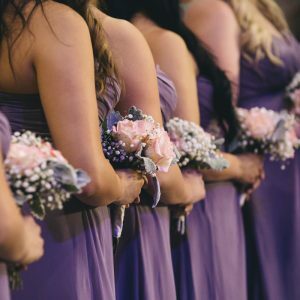 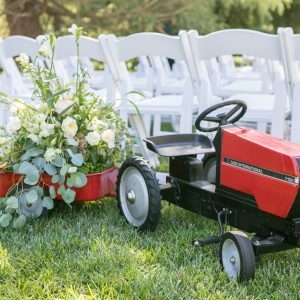 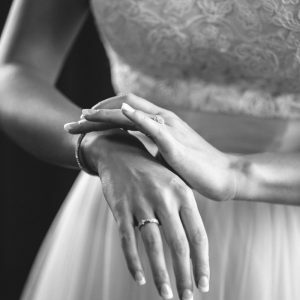 A good story for the crasher could become your worst nightmare, and with a day as special as your wedding it is better to be more safe than sorry. 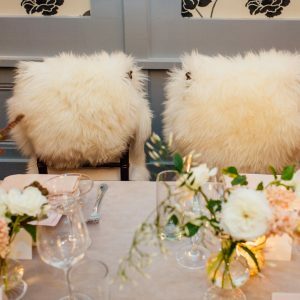 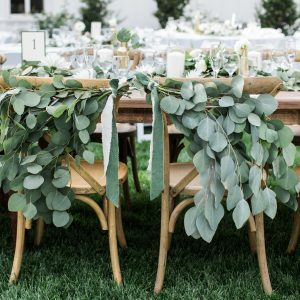 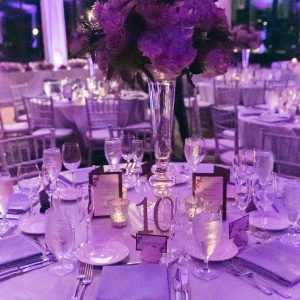 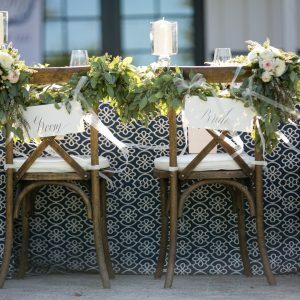 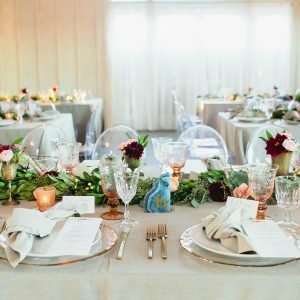 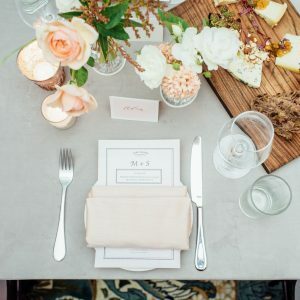 While cell phone etiquette is a big YES as a wedding guest, there is no denying that we are smack dab in the middle of a social media revolution. 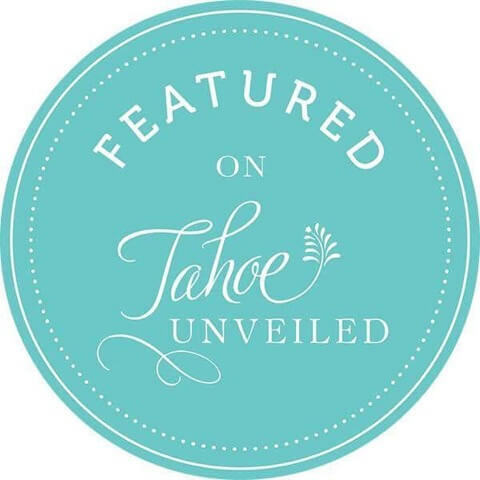 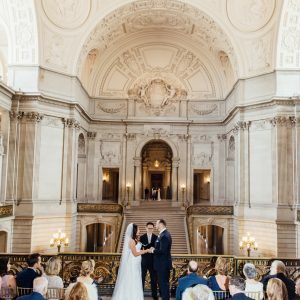 It is no surprise that weddings have found their place on social media in almost every form. 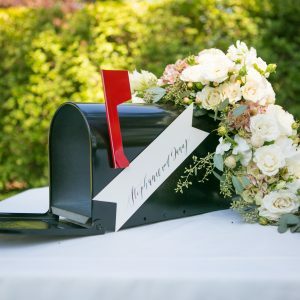 From engagement announcements to personalized Snapchat filters, social media can be a great platform to share the journey of one of the biggest moments in your life with friends and family. 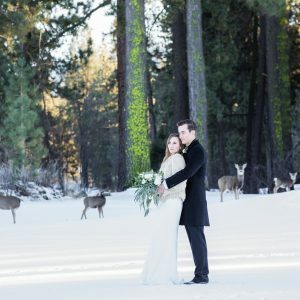 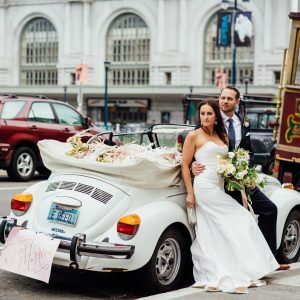 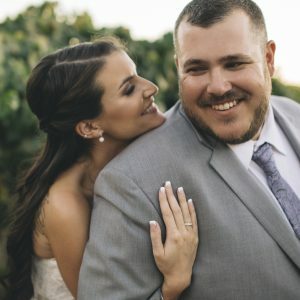 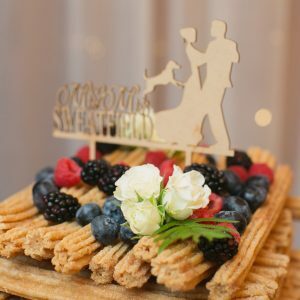 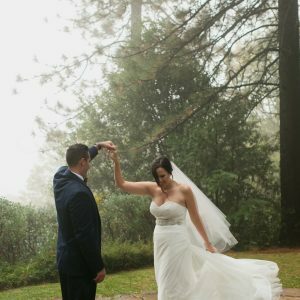 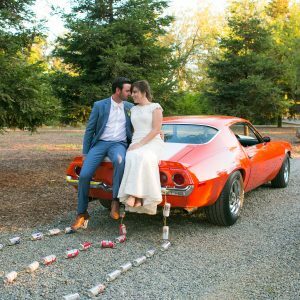 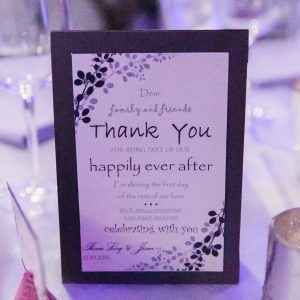 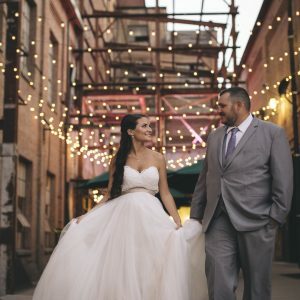 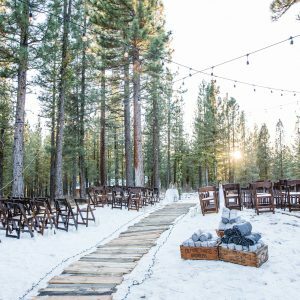 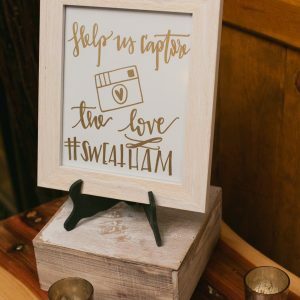 Wedding hashtags are a rising trend among couples that want to encourage guests to share their celebration in a way that allows all posts to be located with a single click on social media. 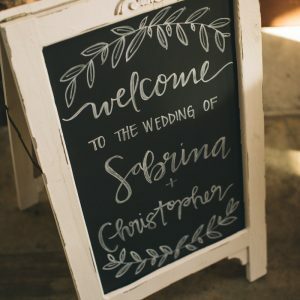 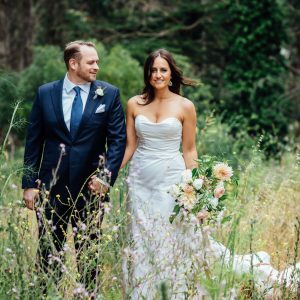 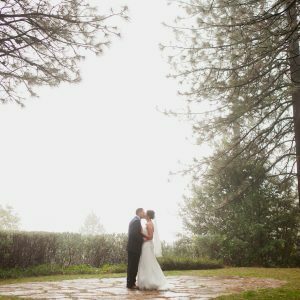 The best place to start when creating your own wedding hashtag is with your names. 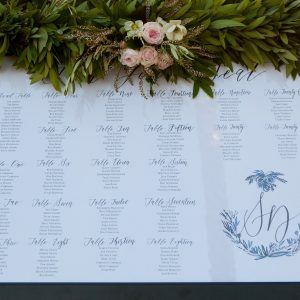 You can mash together you and your fiancé’s names and pull a #Bradgelina. 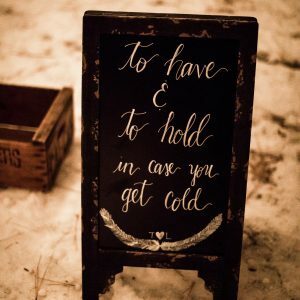 Or, you can get clever and do a play on words. 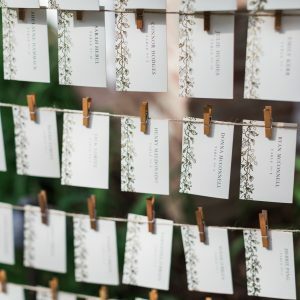 Simplicity is key when it comes to wedding hashtags because you want your guests to 1) easily remember it when they go to post and 2) easily find it when they go to search for it. 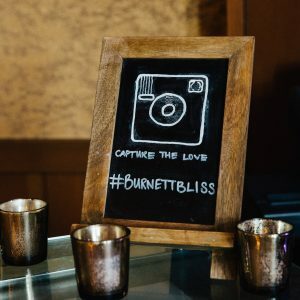 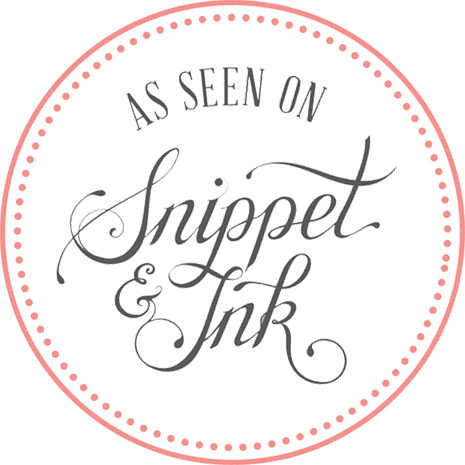 Complicated spelling or wordy hashtags will make your guests less inclined to throw it on the end of their posts. 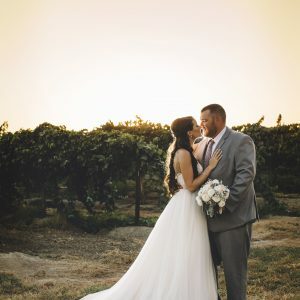 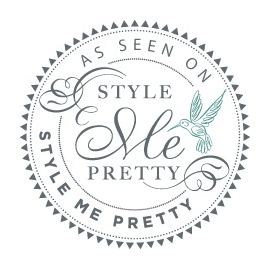 There are also websites available to generate a wedding hashtag for you. 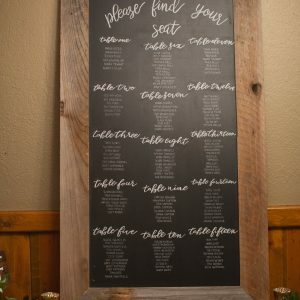 At weddinghashtagwall.com you can enter in your names and voila! 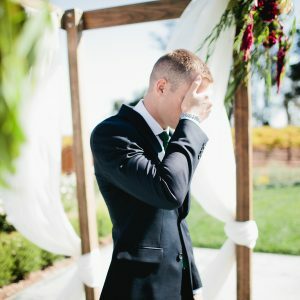 A list of possible hashtags will appear!